I've conducted a handful of "Clario Analytics Reviews" in 2014. Here's a link to Clario Analytics (click here). They perform catalog optimization modeling. They generate profit for their clients. They use geeky math - you'd have to in order to do a good job. Business leaders do not understand geeky math - they understand business! So I'm called in to analyze the performance of the customer file, given the mailing strategy employed by Clario. Client Sends File #1 and File #2 From This Document (Click Here). 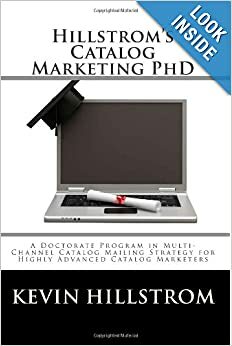 I run your data through a shortcut version of my Catalog PhD process (purchase on Amazon - click here). I clearly explain to you how Clario is mailing different customer segments - highly catalog-centric phone/mail customers, rural customers, urban customers, those living near a store, those living far from a store, high value customers, low value customers, email buyers, search buyers, affiliate buyers, mobile buyers, retail buyers. Many cuts, many views, all of 'em are important. You'll know what Clario is doing and why they are doing it. I will point out strengths, and areas of opportunity. Now, I know many of you are paying Clario a hundred thousand dollars a year, sometimes more, for catalog optimization. A meager $4,900 to validate your investment isn't asking too much, is it? Email today (kevinh@minethatdata.com) for your own Clario Analytics Review. Click here for the file layouts you'll need. Any of the other co-ops.